The new 2018 Nissan Sentra is created for budget-minded people that appreciate a good value. This car provides an easy-to-drive experience. It has light, predictable steering, good brakes, and comfortable compliant suspension. It comfortably seats 5 like a sedan, but in a compact body. The 2018 Sentra is well insulated allowing for an enjoyable ride in a quiet cabin. It's just an overall easy-to-drive car for a decent price tag that holds its value. Its base S trim package starts off at about $17,000 and comes with essentials such as a 5” infotainment color system. This system includes a Hands-free Text Messaging Assistant, Bluetooth® Hands-free Phone System, advanced drive-assist display, and much more. The 2018 Nissan Sentra has quality soft-touch materials that are built to last. You can also upgrade to a power adjustable driver’s seat. Your back passengers will also find comfort with a full set of latch connectors. Each trim has its own unique features, making it possible for you to get exactly what you want from the Nissan Sentra. This 5 seater vehicle comes with standard cloth upholstery, with leather seats available for upgrade. Just like all its former version, the 2018 Nissan Sentra has quality soft-touch materials that are built to last. You can also upgrade to a power adjustable driver’s seat. Your back passengers will also find comfort with a full set of latch connectors. New on the 2018 Nissan Sentra? The 2018 Sentra come with Automatic Emergency Braking that comes standard on all trims. Additionally, the S trim adds the RearView Monitor to its list of standard features as well as a 5-inch color display, Bluetooth® connectivity, and Siri® Eyes-Free. Enjoy the Mid-Tier SV grade or all-weather package that comes with alloy wheels and automatic headlights. This package also comes with passive entry with push-button start, a slightly bigger 5.8” infotainment display with Bluetooth phone and auto connectivity, and Bose 6 speaker sound system. The interior comes with upgrade options for heated front seats, moonroof, and a backup camera. It also has optional leather seats available. Automatic Temperature Control is now standard for all models SV and above, while the SL trim level adds a moonroof and the Bose® Premium audio system. Do you want your cake and eat it too? You get just that with the top of the line Nismo model that starts off at $25,790. Nissan brought its well-known sporty experience, by adding the stylish Nismo features of the 2018 Sentra line. The Nismo model comes with a red and white accent aerodynamic body kit, giving an almost completely different look. It has a 1.6-liter turbocharged 4-cylinder engine with 188 hp at 5,600 rpm and 177 lb-ft of torque at 5,200 rpm thanks to its Nismo-tuned suspension and steering. This model also has bigger 18″ aluminum alloy wheels and bigger breaks. So if sporty is what you want but you want to stick to your budget, then opt for the Nismo model. Depending on the trim you select the 2018 Nissan Sentra has a 25-27 MPG in the city and 31-36 on the highway averaging out to about 27 in the real world. When it comes to safety, NHTSA’s gave the 2018 Nissan Sentra a 4 out of 5. It gave 4 stars for its overall frontal and rollover ratings and 5 stars for side impact ratings. Some safety standard features include the Intelligent Cruise control that watches the flow of traffic and helps maintain an adjustable speed and set distance between you and the car in front of you. And, don’t forget it comes with Automatic Emergency Braking. It monitors your speed and distance between you and the car ahead and can let you know if you need to slow down. It can even automatically engage the brakes to help avoid a collision or lessen the severity of an impact. And, with a KBB expert rating of 8.3/10 and a KBB consumer Rating of 7.5/10, the Nissan Sentra will hold its value. 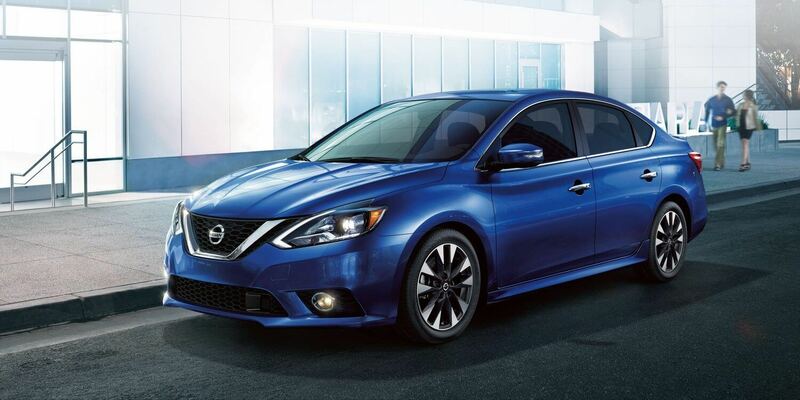 If you're in the market for an easy-to-drive entry level car or purchasing a second car for long commutes, the 2018 Nissan Sentra offers features and drivability worth your money. Visit your local Nissan and test drive one today.